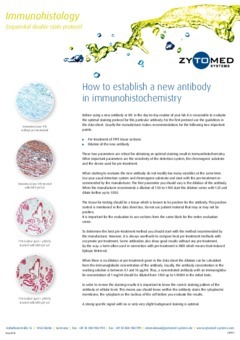 Before using a new antibody or IHC in the day-to-day routine of your lab it is reasonable to evaluate the optimal staining protocol for this particular antibody. 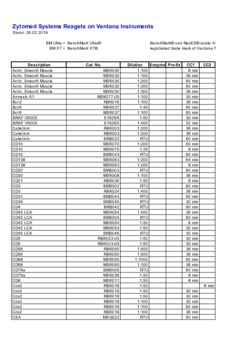 For the first protocol use the guidelines in the data sheet. Usually the manufacturer makes recommendations for the following two important points. For optimal staining results in immunohistochemistry primary antibodies must be able to bind to their target antigen. 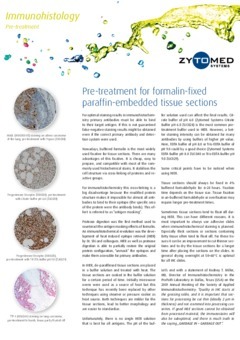 If this is not guaranteed false-negative staining results might be obtained even if the correct primary antibody and detection system were used. 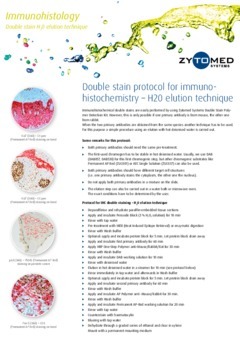 Immunohistochemical double stains are easily performed by using Zytomed Systems Double Stain Polymer Detection Kit which uses a 1-step detection technique. The sequential protocol described here is a 2-step technique and, thus, slightly longer but also very easy. One primary antibody must be from mouse, the other one from rabbit. 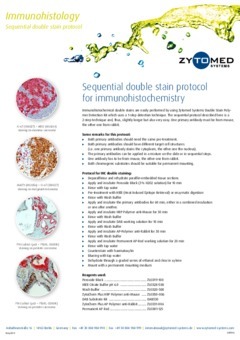 Immunohistochemical double stains are easily performed by using Zytomed Systems Double Stain Polymer Detection Kit. 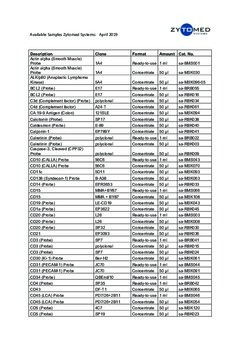 However, this is only possible if one primary antibody is from mouse, the other one from rabbit.